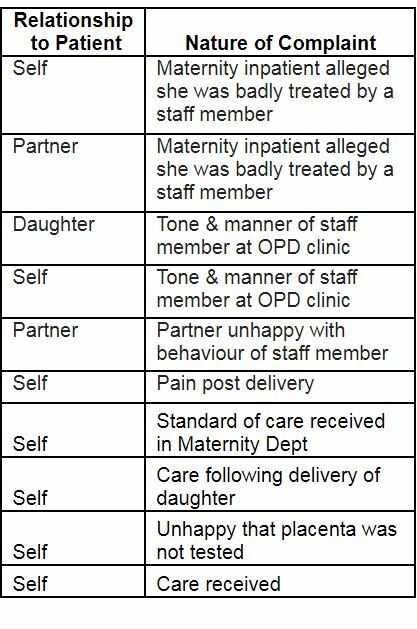 SO FAR THIS year, the Midland Regional Hospital Portlaoise has received 10 complaints from maternity patients and their families, most of which related to the behaviour of staff. A number of people, including patients themselves, their partners and close relatives, made written submissions to the HSE complaining about the “tone and manner” of a staff member or that they were “badly treated” while in hospital. Information released to TheJournal.ie through a Freedom of Information request reveals that half of the complaints were about staff behaviour, while three of the seven were about the medical care received. 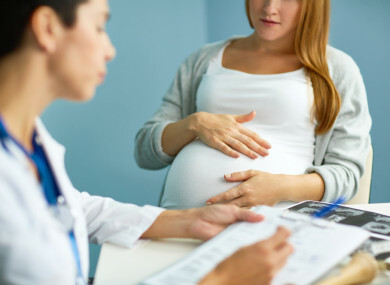 Following a HSE review of maternity complaints earlier this year, Minister for Health Simon Harris called for “full visibility” of issues in maternity services. The 63-page review examined 203 complaints made about maternity care experienced between 1975 and 2015. Most of the complaints (130) related to maternity services in the Midland Regional Hospital Portlaoise. At the time, Minister Harris said: “It is regretted that it has taken such a long time for these issues to have full visibility. The number of these complaints over such a long period of time is a wake-up call to all of us to ensure our health system becomes more open, and deploys systems that are responsive and listen and learn from patients. Following these remarks, TheJournal.ie asked Portlaoise Hospital for any complaints it received in relation to maternity issues so far this year. While the information was initially granted in full, the request was later “partially” granted. Seven of the complaints were made by patients themselves, two were made by their partners and one was made by the patient’s daughter. Both of the partner’s complaints were about the behaviour of a staff member, while a daughter of a patient complained about the tone and manner of a staff member. This website was told that access was denied to parts of the records because they contained personal information. However, complaints are regularly given under Freedom of Information where the complainant’s name is redacted and the copy of the complaint is given without personal details. These documents released under the Freedom of Information Act detail the complaints and concerns raised by homeless people living in state-funded accommodation with Dublin City Council. The HSE Maternity Clinical Complaints Review, which was published four months ago, found that patients frequently felt like they had not been treated with respect and dignity and there was a lack of communication around their care, with patients also reporting having difficulty accessing copies of their health records. Email “Behaviour of staff top reason for complaints about maternity services at Portlaoise”. Feedback on “Behaviour of staff top reason for complaints about maternity services at Portlaoise”.